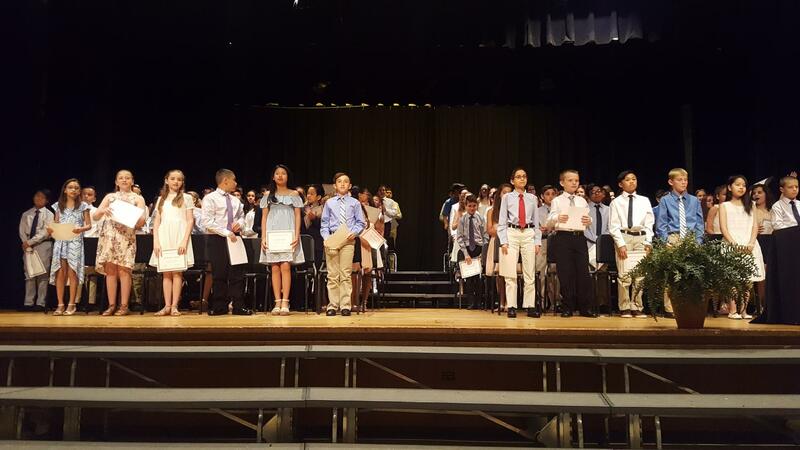 Ninety-nine students in the Patrick M. Villano School’s Class of 2018 celebrated promotion on Wednesday, June 21. The ceremony, which included student and administrative speeches, took place in the Emerson Junior-Senior High School. That’s where these students will head in the fall.